What’s cooler than a chick on a skateboard? It is important to mention that before 2002, female skaters were very rare and not respected. Many years ago I heard about a group of skaters that was made up only of girls. 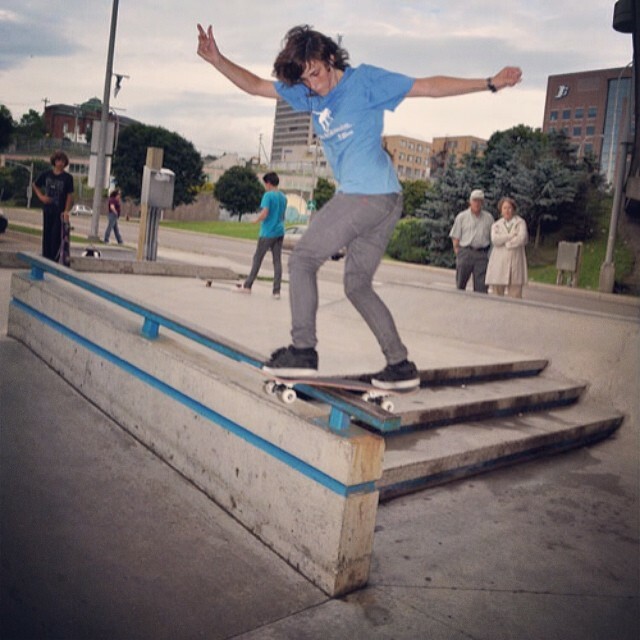 I was lucky to befriend a few of them and today I present to you Annie Guglia who has been skating with the Skirtboarders since 2005. LSTW : What are the Skirtboarders exactly? Annie Guglia: Established in 2002, Skirtboarders is a women’s skateboarding collective that regroups girls from across Canada (mainly Montreal) and that aims to promote the female skate scene in hopes of making it “less marginal”. It is important to mention that before 2002, female skaters were very rare and not respected. The few who persevered and managed thrive had difficulty gaining respect from their male peers. Not having any female models to look up it, they especially had trouble integrating their femininity into skateboarding. This is why groups such as The Side Project in California, No Limit in Sweden, Girl Assault in Argentina, Skate Like A Girl and the Skirtboarders were key elements in the development of the international female skate scene, both socially and intellectually. LSTW: What does being a Skirtboarder mean to you? Annie: A lot of things. Socially, I will start with a cliché by saying that “United we stand!”. And it’s so true! To appreciate skateboarding, or anything for that matter, we have to share it with others, regardless of gender. Skateboarding alone is all right, but when you have no female or male friends who are into it, the chances of getting discouraged and giving up are more probable. Skirtboarders is a reason to get together to be encouraged and encourage others to persevere and constantly improve. Beyond that, Skirtboarders allows us to travel together and to meet other people who share the same passion as we do. The group also allows us to convey a positive image of what girl skateboarders look like. As we all know, media and pop culture have a tendency of only showing the extremes in everything (Avril Lavigne, P!nk) when we are just regular people! And evidently, regarding skateboarding, it certainly allows for a visibility in the media for the girls that are a part of the collective and for those who aren’t since the female skate scene is quite small and definitely tight knit. In the media and on social networks, whether it be Facebook (10 000 fans), our website (www.skirtboarders.com) or our TV appearances, Skirtboarders is a powerful vehicle for event promotion or any news surrounding the international female skateboarding scene. 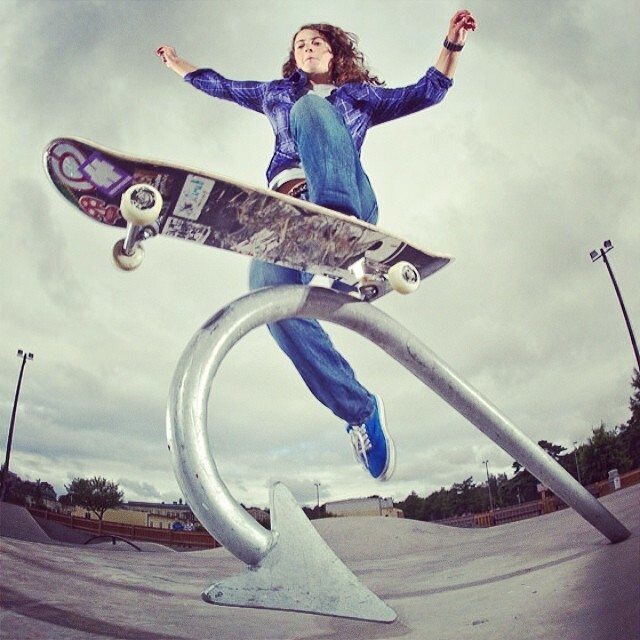 LSTW: Do you believe women are well represented in the skateboarding universe? Annie: I would say more and more but it is still rare that a girl will appear in a skate magazine or even less in a film. We are lucky because in Quebec we have a local magazine (Exposé Magazine) that is very open to covering female events and publishing photos of girls in their issues. Regarding films, I would say very little ‘guy’ films make room for girls. Girls appear mainly in films directed and produced by girls. For example Villa Villa Cola (2005), was the first all female skate film to my knowledge, and ours, Skirtboarders: LE FILM, which is for sale in all good skate shops! 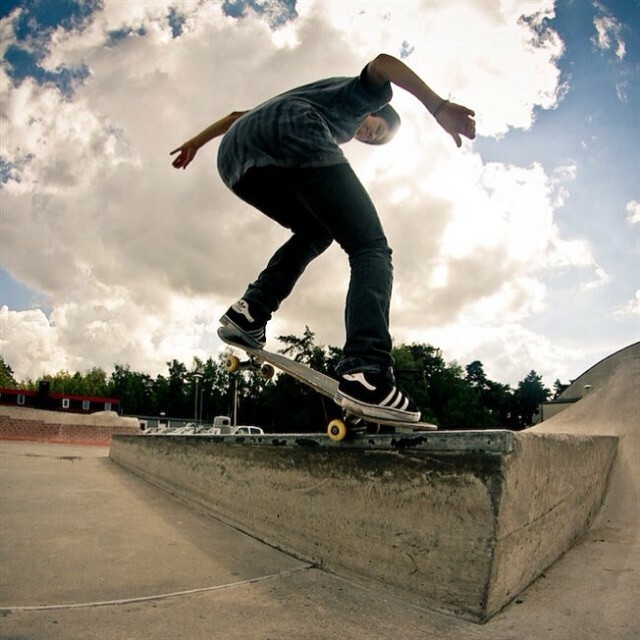 LSTW: Is there a place for you, do you feel welcome in places like skate parks? Annie: Absolutely. When I started skating for example, at 11. At that age, kids can be so mean to each other. I certainly got told to give up because it was a boy’s sport. But today, in all age groups, girls a welcome into the skate world. It’s been a really long time since I’ve heard of a girl getting put down because she skates and that’s great! LSTW: How many members make up the Skirtboarders? Annie: I hope I’m right when I say that we are 14. But you know, there are so many people that are part of our circle without necessarily having a profile on our website that it is hard to say who is and isn’t part of the collective. We often get asked a question that I will immediately answer: no, there is no ‘way’ to be a part of the Skirtboarders simply because we are just a group of friends…which requires only being our friend! There is no skate criteria, no geographical limitation, for example Renata Ruiz lives in Mexico, Elysha Bastien in Barcelona and Amy Mattes in Vancouver. LSTW: What are some projects coming up for the Skirtboarders? Annie: after Mexico and Sweden we would like to organize another trip in the near future but we have yet to determine an official destination. Maybe Argentina or Barcelona but no steps have been taken so don’t quote me on that. Otherwise, Mathilde Pigeon, co-founder and webmaster of Skirtboarders is presently transforming our website to make it more user-friendly and to integrate all of our photos, videos and other information regarding the collective. It is already in full mutation and it’s getting hotter and hotter so that’s something to keep an eye on.